Ever wondered how to boost your Baby's IQ, in other words - your baby's Baby Quotient (BQ TM)? Early Childood Development Researcher and Manduca ambassafdor, Dr. Kristy Goodwin, explains her top tips to maximize your baby's BQ. 1. Put away your smartphone - babies need laps not apps! Uninterrupted face-to-face interaction is critical for your baby's brain and social development. Newborn babies are able to process faces long before they recognise other objects. In fact, brain scans have shown that they prefer to gaze at faces as opposed to objects in the early months. Brain scans have also shown that babies, as young as 4 months, have simiral neural responses to adults when processing faces. Parentese is the term for the silly, playful sounds that we often use when talking to babies. Babies have an innate ability to imitate adults' mouth patterns when adult use parentese, as the sounds are more exaggerated. As infants observe mouth patterns, neurons in their brain fire and form new brain pathways, as if they were performing the action themselves. With 80% of brain architecture established before a child is 3 years of age, its vital that infants are given ample time to engage, verbally and visually with parents, in close proximity and with minimal distractions! Parent-facing baby carriers provide ideal opportunities for parents to directly engage on a daily and incidental basis. Look out for a carrier endorsed by the Australian Physiotherapy Association. "Don't worry, he's just a baby - he doesn't understand!" - sound familiar? Contrary to popular belief, your baby understands more than you know! It might be best to avoid that unpredictable uncle who can't seem to watch his words, as according to a research piece by Dr. Goodwin, babies are biologically designed to mirror or imitate everything they observe. Studies have shown that a nurturing relationship in the early years can literally shape a child's brain anatomy. Research has shown that children with responsive, warm and caring parents have a larger hippocampus (part of the brain responsible for memory, learning and stress responses) than teir peers who didn't expperience the same sorts of interactions and relationships. Dr. Kristy Goodwin is the Director of Every Chance to Learn, and an Honorary Associate at Macquarie University at the Institute of Early Childhood. She’s a highly sought-after expert on parenting in the digital age (and also a mum!). With over 14 years experience in teaching and research, Kristy has a gift for cutting through media-hype and conflicting research. Dr Goodwin provides parents and educators with practical information about what today’s young children need for optimal learning, development and well-being, in a digitalised context. Dr Goodwin’s current research interests include early brain development and the impact new technologies have on young children’s learning and development, including the use of touch-screen technologies such as iPads and smartphones. Dr. Kristy Goodwin is an Early Childhood Development Researcher and an ambassador of Manduca. 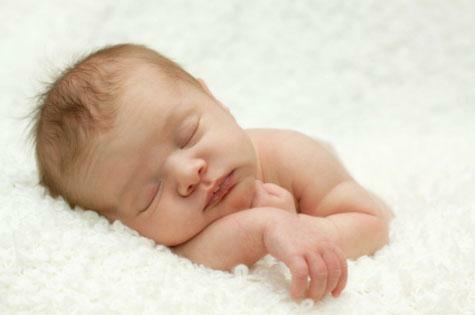 Is your baby a ‘sleep thief’?